It has been a moment since I have communicated with you folks through the blogosphere, and to those who have checked the site only to see the same old page...I am truly sorry, but we're back and with your support hope to be better than ever. As a tribute to the all the things I meant to do but never did, I finally wrote the Guru tribute post that never was. While some time has past since Guru's death, the heart of the hip hop pillar Gang Starr, alongside the soul of DJ premier, it is only more important that we continue the celebration of this legend after his death. A philosophically skilled lyricist and master of the monotone delivery, he helped to pioneer the 90's East Coast rap scene with an honest style and a powerful message. 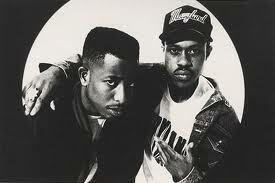 Over the 90's, Guru and Premier constantly elevated their sound revolved around the development of the rap game and the refinement of their craft. 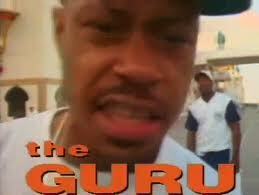 Guru was born Kieth Elam in Roxbury, Massachusetts in 1961. His moms, co-director of libraries for the Boston public school system, and his pops, the first black judge in the Boston municipal system, raised Kieth to be an educated cat. He went on to graduate from Morehouse College in Atlanta with a degree in Business Administration and proceeded to grad school at the Fashion Institute of Technology in Manhattan. It was while he was attending graduate school in New York that he fully committed himself to music, dropping out to focus on the craft, only to become one of the legends of the New York City rap game. But it was with this knowledge, wisdom, and perspective that Guru charged his rhymes. Guru was never content with the ignorance and negativity that many rappers were turning to for inspiration as the gangster rap scene exploded in the 90s. 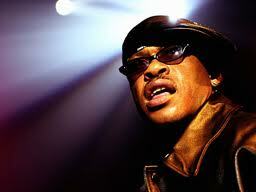 After a quick stint reppin the name MC Keithy E, he turned to Guru which stands for Gifted Unlimited Rhymes Universal. Good decision. Guru was known to get inspirational off the mic as well, and to many was known simply as The Minister. He even spent time as a social worker before he began his career in hip hop. But for all the lessons he put into his music it was the mastery of his rhymin skills that was always on display. And like many of his peers, he turned to the crutch that every self respecting rapper has plenty to say about...how much better at rapping he is than you. Gang Starr received critical acclaim from the start, Guru laying down his flow steady and heavy with DJ Premier delivering some of the funkiest beats around. But you can really see the development of the Gang Starr craft over the years. If you check out the earlier works, while loaded with social commentary and funky flavor, they lack the polish on the rhyme skills and beats that would come to characterize some of their masterpiece works. Heres "Manifest" a track off their first album No More Mr. Nice Guy in 1989. 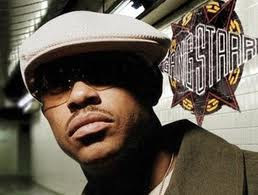 The jazzy beat comes in a little raw and though Guru has good theory and substance in the song, his rhymes for the most part are simple with limited creativity over the flow. The elements of a great song are there, but in my own personal opinion, its not quite clean on the flow or the rhymes. But this shouldnt be discouraging, more so, its a tribute to the dedication and work that Guru and Premier put into their art. As time passed both the beats and rhyme style progressed. Check out "Mass Appeal" off their 1994 album Hard To Earn. While there isnt a ton of substance behind the track, the beat is tightened up and the flow and rhyme scheme have advanced in complexity. Guru left the choppier rhythm characteristic of earlier works, now accentuating the steady thunder in his voice with a smoother flow. And he continued to improve. 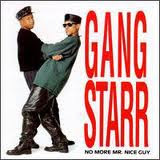 By the time Gang Starr released Moment of Truth in '98 Guru and Premier were both at the top of their game. On an album laden with classic tracks must listeners include "You Know My Steez", "Robin Hood Theory", "Royalty", "The Militia", and "Betrayal". You really need to invest in the whole album. The beats are as sharp as they come but stay true to the jazz inspired sound representative of enlightened NYC hip hop. The sound is super clean and Guru just starts killin every verse, and around this point Guru really starts to master the hook, layin fly ones on almost every track. From this point on Gang Starr simply made super dope hip hop songs. The Ownerz released in 2003 was the capper on an legendary career. Again filled with hits, my two favorite tracks from the album are "Rite Where U Stand" featuring Jadakiss, and "Skillz". "Skillz" is just straight fire, a true JamandaHalf. Showing the quality of flow that he refined through years of work, Guru laces a masterpiece beat from Premier with a flow that is effortlessly intense. Flossin the gift, Guru simply doesnt stop spittin. He attacks the beat throughout, rollin from the verse right into the hook and then onto the next without hesitation, while muderin the hook. Could be one of my favorites ever. The duo never really changed what they were about. Always intelligent and often times socially poignant, they stuck to their formula, and most importantly, stuck together to become icons of the rap game. But Guru, a man of vision, always knew that it would come to an end and I dont think anyone could put it better than he did in his master work "Moment of Truth". The classic track encompasses what Gang Starr was all about: expressing knowledge and emotion artistically to form powerful messages in a form that people everywhere can connect to and identify with. "Moment of Truth" is a philosophical manifesto of street ideology. And to support such profound ideas within these poetic and musical stylings is an even greater accomplishment. This article hasnt been the typical JamandaHalf piece, but if there was ever a song worthy of the title a Jam and a Half, this is it. Enjoy. Thanks for checking out my article and please get involved. Send us an email with any suggestions or Jams of your own. I always recommend checking out the lyrics when studying hip hop music, and perhaps most importantly LISTEN TO THIS MUSIC LOUD!!! Personally I think that song may be one of the best rap songs ever. dont be quick to judge.